Everyone has grudges. However, it’s up to you on determining whether or not whatever you’re mad about is something that is essentially “grudge worthy”. 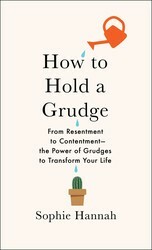 Sophie Hannah, author of HOW TO HOLD A GRUDGE, shares the 3 invalid types of grudges. Please don’t panic if you are holding some of these. 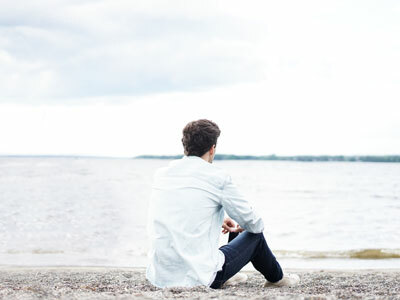 It could be that you simply need to process them in order to turn them into good, healthy grudges—and, if that’s not the case, then understanding why a particular grudge is invalid will probably inspire you to want to abandon it instead of feeling forced to. A grudge against the way things were in the past, are in the present or might/will be in the future. You can’t change either of the first two, and to resent the future before it arrives, when you have no way of knowing how great it might be, creates a lot of negative energy. Also, you don’t know for certain what anybody’s going to do in the future. To resent a person for something she might never do is both pointless and absurd. Any grudge that, after processing, is harmful or unpleasant to you or others. A Toxic Grudge brews and solidifies negative feelings and spews them forth (in the way that the magic porridge pot from the traditional story spews forth endless porridge). The more you think about the grudge, the more anger, pain and bitterness you start to feel. The grudge feels synonymous with and inextricable from the original wound cause. A Good, Processed Grudge coexists alongside some residual negative emotion left behind by the sparking incident, but each time you think about it, it has the effect of decreasing and disarming—even only slightly, or gradually—the hate, resentment and misery you feel about the sparking incident because the grudge is not inextricable from the original wound cause; it is, instead, an instructive or enlightening story about the original wound cause. Want to know if your grudge is valid? Pick up HOW TO HOLD A GRUDGE by Sophie Hannah! Excerpted from How To Hold A Grudge by Sophie Hannah Copyright © 2019 by the author. Used by permission of the publisher. All rights reserved. Photo by Steven Spassov on Unsplash.